"Gerald! Get off our rock! Off! Off! Off! Off! Off!" 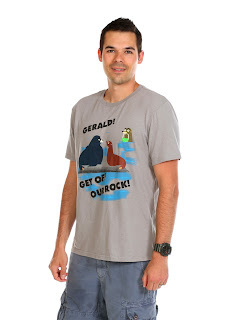 One of the most hilarious and most memorable moments from Finding Dory, featuring sea lions Gerald, Fluke and Rudder, is captured perfectly on this Disney Story exclusive cotton tee for adults. 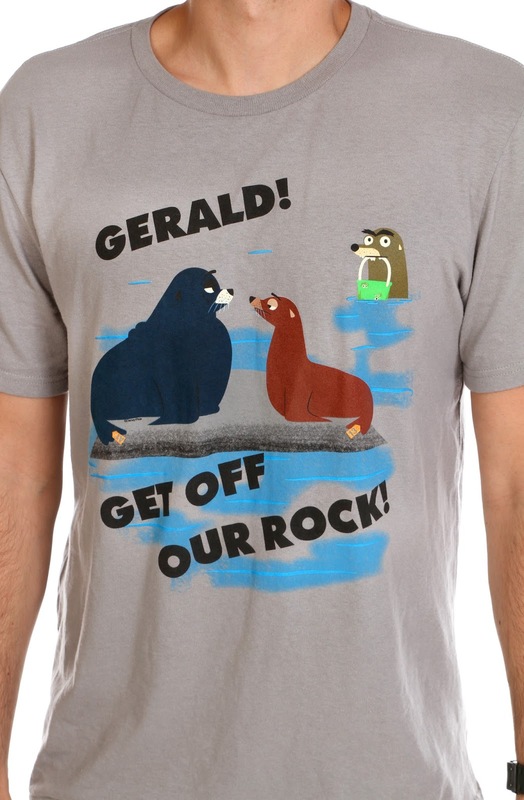 People love them some Gerald. I haven't seen this much love out there for a side character (with no more than 90 seconds of screen time and no actual lines I might add) since...I don't know when! He is no doubt a fan favorite and with good reason; his goofy sounds, facial expressions and overall interactions with Fluke and Rudder get me every time. This tee fits great and feels comfortable. 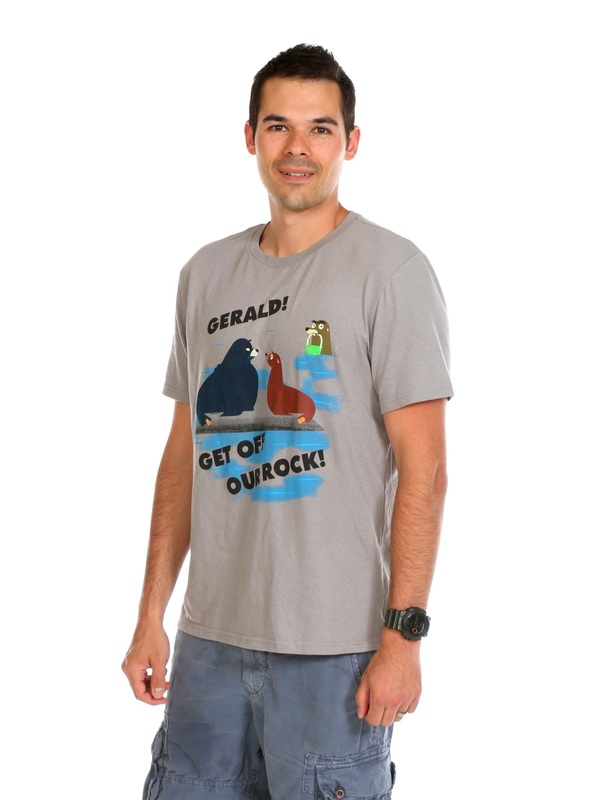 If you have a special place in your heart for Gerald and his sea lion "pals", be sure to pick this up at your local Disney Store (or online HERE) before it's gone. Retail is $22.95.